Turning information into action! 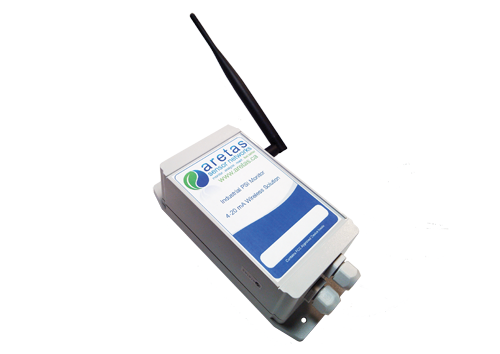 The Aretas Industrial Wireless Relay expands your online data analytics system capabilities and can also be used for commercial and home applications. Now, with the addition of the relay controller, when one or more of your sensors reaches a threshold level you have set, a variety of automatic ‘actions’ can occur. Set custom levels and a fan turns on, a compressor starts, a refrigerator cools, even HVAC remote control. This commercial control system now allows you to not only receive and track important data but for that data to trigger automatic actions at any of your facilities. In general, a relay is an electronic component that allows for On/Off type of functionality by opening or closing circuits via an electromagnetic switch. Many sensors at Aretas are incredibly sensitive and produce only small electrical currents. We often require them to control larger equipment that consumes and operates at higher currents. Relays bridge the gap, making it possible for small currents to activate larger ones. That means relays can work either as switches (turning on and off) or as amplifiers (using smaller currents to controls larger ones). All of Aretas’ monitors are part of a wireless monitoring and alerting system that transmits data online to your analytics dashboard. This online dashboard allows you to see how one or more of your facilities are operating 24/7 worldwide. With relays included, this data with alerts, can trigger automatic actions. The Aretas team prides ourselves on creating flexible, wireless, industrial control systems that can be customized and fine-tuned to your unique project needs. Contact your live Aretas representative today to find out if we are a fit for your needs. 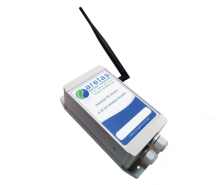 Read how our remote wireless relays help Ice Arenas automatically ventilate their facilities as carbon monoxide or nitrogen dioxide levels rise due to ice resurfacing equipment.